Heritage and Historic Landscapes are good for you! Here’s our latest Press Release, created by Jessica Trethowan, Stonehenge PR Manager. Cultural therapy through a number of journeys across the Stonehenge World Heritage Site into the world-famous stone circle. Human Henge is a collaborative project run by the Restoration Trust in partnership with Richmond Fellowship, English Heritage and Bournemouth University with support from the National Trust and Avon and Wiltshire Mental Health Partnership NHS Trust. The project draws on ideas that Stonehenge was once a place of healing and explores the relationship between people, place and the past. It examines whether a creative exploration of historic landscapes can help people with mental health conditions. Through a programme of participant-led activities, 32 local people living with mental health problems and on low incomes, come together for fun, therapeutic adventures, with experts, carers and support workers in this remarkable and inspiring ancient landscape. The group is accompanied by curators and artists, archaeologist Professor Tim Darvill, and musician and creative facilitator Yvette Staelens, as they explore the monuments, features and layers of meaning in the Stonehenge landscape, enabled through the participation of English Heritage and the National Trust. 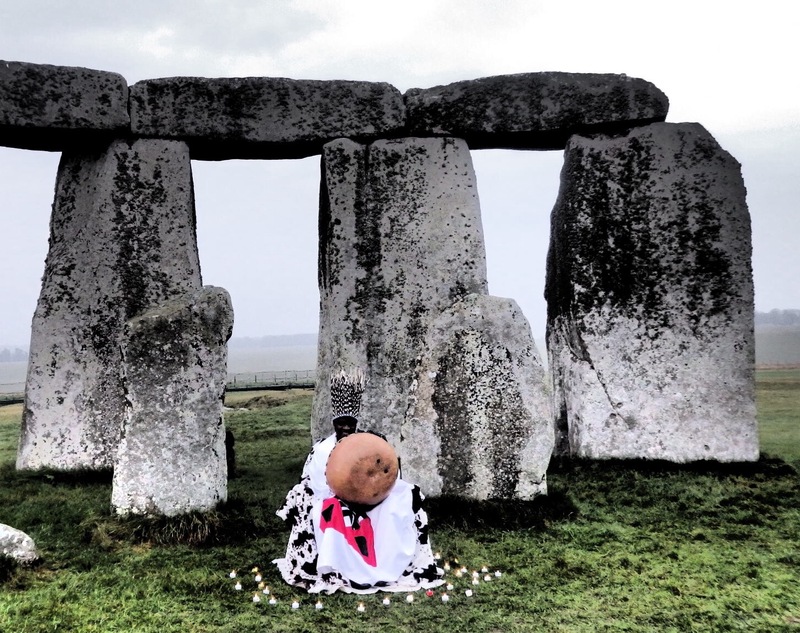 Each series of journeys end with a ceremony inside the Stone Circle, collaborating with musician Chartwell Dutiro at Winter Solstice or Spring Equinox. The final activity is devised by the participants in response to their individual and shared experiences on their journey. Martin Allfrey, Senior Curator of Collections, English Heritage said “We all know that visiting historic sites and engaging with artefacts from the past can be inspiring and fun but we’ve never tried to measure the benefits that historic places can provide for people suffering from mental health issues. We are really pleased that Stonehenge is the focus for this groundbreaking project, which brings together expert researchers from Bournemouth University and local people in Wiltshire. We hope that not only will the project add to the quality of life of those taking part but we also want to share the results widely, promoting a much greater understanding of the health and well-being benefits of engaging with historic places”. The Human Henge project runs until June 2018. Findings and further questions will be explored and shared through activities, focus groups, exhibitions and conferences. Human Henge enables 32 local people living on low income with mental health problems plus carers and volunteers to experience Stonehenge with expert guidance. They create an epic poem and ceremony that affirms the abiding connection between people, place and the past. Human Henge engages disadvantaged people living in Wiltshire in a therapeutic sensory experience of the World Heritage Site. Human Henge is a partnership with English Heritage, Richmond Fellowship and Bournemouth University supported by the National Trust and Avon and Wiltshire Mental Health Partnership NHS Trust. The project is also part funded by Wiltshire Council Amesbury Area Board and English Heritage. Exhibitions at Amesbury Library, Salisbury Museum Festival of Archaeology and Bournemouth University, and proposed presentations at Theoretical Archaeology Group conference 2017, Culture, Health and Wellbeing international conference 2017 and an international Archaeology and Wellbeing conference 2018 share learning with the public and professionals. About the Heritage Lottery Fund: From the archaeology under our feet to the historic parks and buildings we love, from precious memories and collections to rare wildlife, we use National Lottery players’ money to help people across the UK explore, enjoy and protect the heritage they care about. hlf.org.uk. This entry was posted in General on February 13, 2017 by hhmaster.